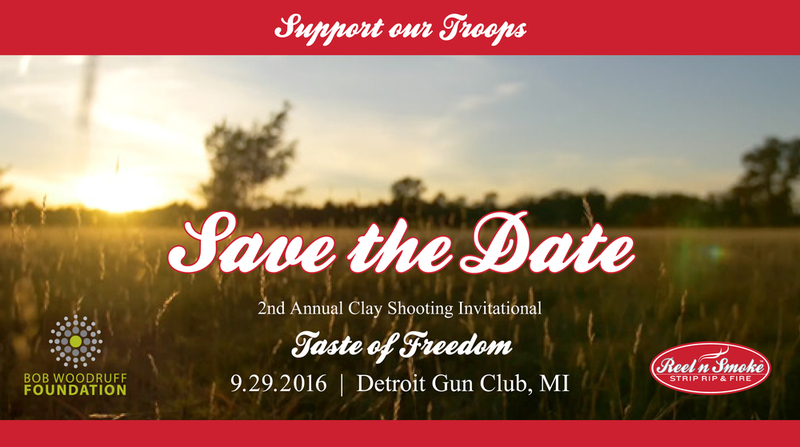 We are proud to announce that the Second Annual Taste of Freedom Clay Shooting Invitational has been scheduled for September 29, 2016 at the Detroit Gun Club. All proceeds for this one day event will again benefit the Bob Woodruff Foundation. The 2015 sold out event grossed more than $15,000 for the foundation and was attended by over 120 participants and 15 business sponsors. The Bob Woodruff Foundation is the national nonprofit dedicated to ensuring that post-9/11 injured service members, veterans and their families are thriving long after they return home. A national organization with grassroots reach, we complement the work of the federal government. We have the experience, network and insider knowledge to navigate the maze of more than 46,000 nonprofits providing services to veterans. Our approach is comprehensive, results-focused and efficient. We perform the due diligence and selection, so you don’t have to. We find, fund and shape innovative solutions for the most pressing issues faced by our injured heroes, their families and communities: from rehabilitation and recovery, to education and employment, to quality of life … deploying funds and effecting solutions where help is needed. Contact weekends@reelnsmoke.com for sign-up, or sponsorship opportunities regarding this year's event.